Learn about the new economic development director, summer jobs for teens and park events! Pickerington’s new economic development director is excited about what he sees happening in the City and he’s ready to be a part of what comes next. Dave Gulden started his new position Jan. 7 and has hit the ground running, learning the lay of the land while meeting with business leaders, developers and community partners. Gulden comes to Pickerington after spending the past four years as director of the Logan-Union-Champaign Regional Planning Commission. He’s also served as economic development planner in Lorain and project manager for the Norwalk Economic Development Corporation. “Dave brings to Pickerington a variety of experience and we feel that will allow him to help further the City’s objectives as it pertains to economic development and guide future growth,” said City Manager Frank Wiseman. One of the top priorities for Gulden is working to develop the 200-plus acres of land the City recently purchased at the intersection of Pickerington and Busey roads. The initial plans call for commercial or industrial development, along with some residential. “We’re going to have to be very strategic with our development. I want to think creatively but I also want to make sure we think about long-term sustainability,” said Gulden. Dave Gulden can be reached by phone at 614-837-3974 or by email at dgulden@pickerington.net. Sun, fun and a paycheck, too? If you work at the City of Pickerington this summer, that’s how you could spend every day. The City is looking to fill nearly two dozen seasonal positions. The biggest need is at the Pickerington Community Pool. Parks and Recreation Director Rebecca Medinger is looking to hire pool management, more than a dozen lifeguards and several front office staff. Applicants for management positions need to be at least 18 years old and all other pool positions are 16 years and older. A complete list of qualifications and job requirements can be found on the City’s website, www.pickerington.net. Medinger said working at the pool is an opportunity to gain experience, learn new skills and work in a great team environment. “Being someone who has been a part of the Pickerington Community Pool staff from high school through half of my college years, it has been an amazing summer job that I always come back to. The customers have always been a pleasure and I love getting to see the same families year after year,” says returning staff member Mackenzie Puskar. The staff is always full of amazing people who challenge each other and create an enjoyable work environment. The experience I have gained from working here for so many years surpasses any other. I cannot wait for the coming season. In addition to offering swim lessons, the pool hosts several big events each summer. Olivia Evans is looking to return to the pool for a third year. The City is also looking to fill six laborer positions in the Service Department. Applicants must be at least 16 years old. Service workers are provided with uniforms and have flexibility when it comes to working hours. A job with the City of Pickerington, even if seasonally, can earn retirement benefits with the Ohio Public Employees Retirement System. Medinger says it’s also a great resume builder for high school, college and professional positions. 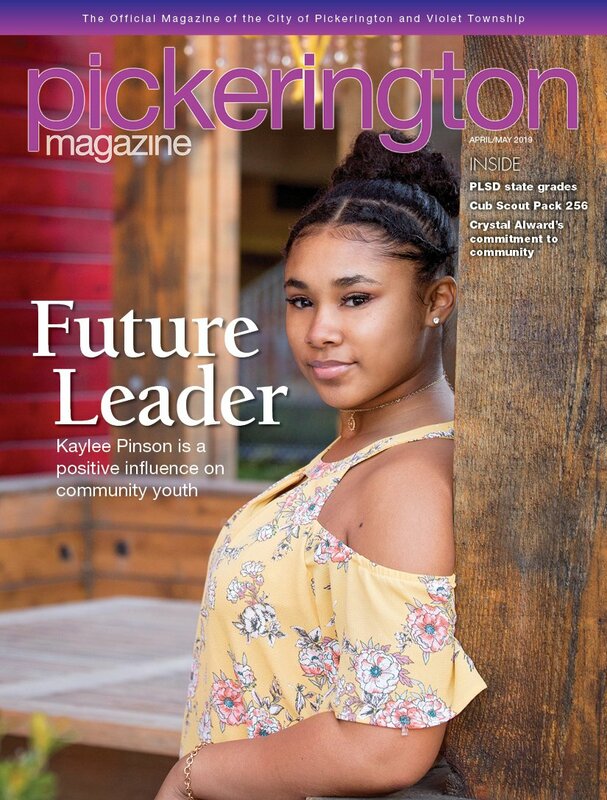 To fill out an application, visit www.pickerington.net. Park open from dawn to dusk. Damaging or removing park property, natural features and wildlife is prohibited. Violation of any park rule may lead to ejection from the park and prosecution under the laws of the City of Pickerington. For a complete list of facilities available to rent, visit www.pickerington.net.